A huge range of over 145,000 products from the top brands in the industry are a convincing selling point for your customers. Together with our partners DHL and UPS, we guarantee worldwide delivery for you. Take advantage of our current attractive offers for resellers straight away. Here you will find answers to frequently asked questions and issues concerning your dealer account. What are the terms and conditions for me as a dealer? How and when can I exchange/return goods? If you would like to set a up a dealer account with us, please start by creating a customer account in our online shop and enter your contact details there. Once we have received your request, we will check it as quickly as possible and activate your dealer account. We will notify you by email as soon as your dealer account is live. Please note that it can take up to four working days to check your data. Your business should relate to biking or the sale of textiles. We reserve the right to reject your business registration. We offer attractive conditions on almost all products from our extensive range. The conditions vary from item to item, which means there is no general discount when calculating prices. You can view the dealer prices online once your dealer account has been activated. As a dealer, you can already buy products at heavily discounted prices. 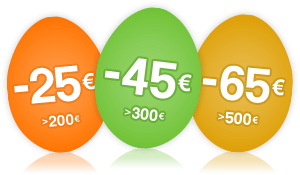 Unfortunately therefore, it is not possible to receive further discount on the offer prices using a discount code for consumer customers. If we do run a special discount campaign for dealers, we will let you know by email. If you wish to return a product, please contact our customer service by email using the email address dealer@motoin.de for your request. Product returns require our consent. If we approve a return, you can send the item to us. Our address is: motoin GmbH, Rotter Bruch 26a, 52068 Aachen, Germany. You must cover the cost of the return. If we accept the return, you will be charged a handling fee of 10% of the purchase amount and the difference will be refunded. The statutory warranty is two years. Some manufacturers offer an extended warranty in addition to this statutory warranty. Please email your complaint to our customer service department at: service@motoin.de. If possible, please attach a picture of the fault to the email and give a brief description of the fault. Our customer service department will investigate the matter as quickly as possible and tell you what to do next. If you require any further information about ordering, payment etc., please go to the order information.